Technical advanced process facilitates in manufacturing and thereby supply a precision engineered collection of Road Weighbridge. This bridge due to its strong built is suitable in areas of hazardous uses. High grade raw materials and leading edge technologies are adopted for the manufacture of this provided weighbridge. These road weigh bridges has undergone a series of hard tests which ensures it perfect quality. These anti-corrosive road weigh bridges being made up of high tensile mild steel, are capable of loading and unloading bulk carriers. Remote large display (2 inch and 4 inch) computer and software package, Unmanned Rf weighing, weatherproof junction box, Ticket printer. The main advantage of this road weighbridge is that it does not require an operated for its operation as its functioning is fully automated. The other markable advantages are, higher performance level, smooth functioning, strength and flexibility in functioning. 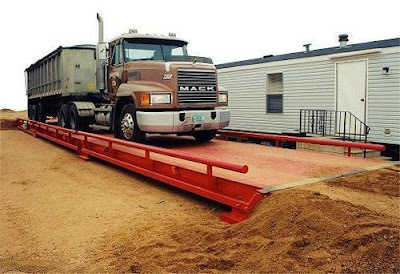 Senlogic offers you the best quality road weighbridges in Tamil Nadu at affordable rates. We had been designing the products with the international standards.